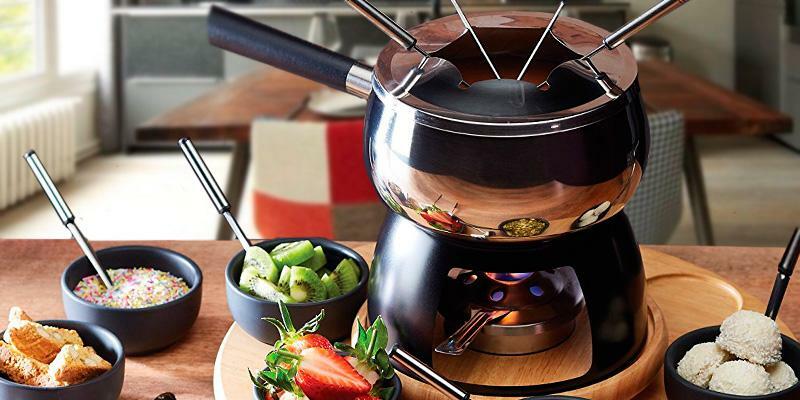 The fondue set comes with a nice 3-tier rotating wooden stand that allows you to spin and share bowls with other fellow diners without leaving your seat. The unit with a stand takes up quite a lot of space on a counter top. 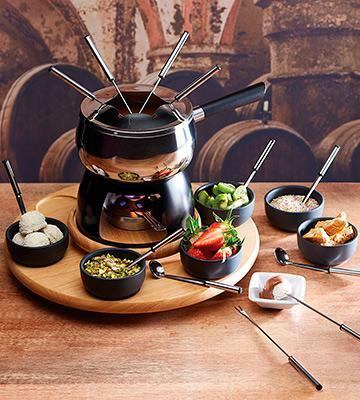 Master Class Artesa fondue set is an excellent choice for those who enjoy hosting guests at home. Impress your near and dear with a variety of gourmet fondue recipes and create exquisite atmosphere, serving the food in a sophisticated, restaurant-like way. 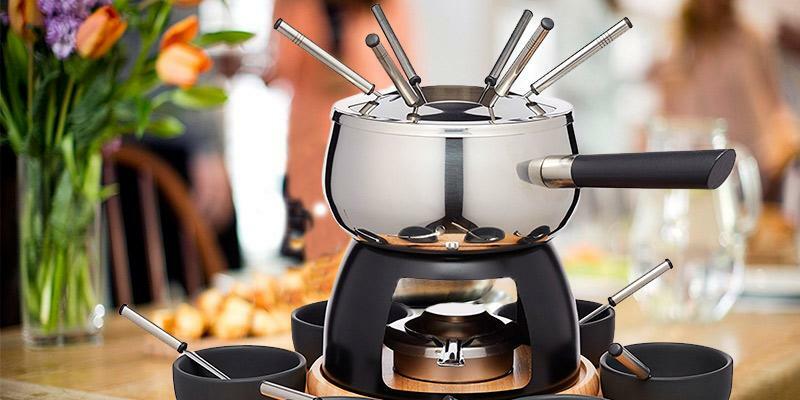 This fondue set has a brushed stainless steel base that leaves no fingerprints when you touch it. The ready indicator light allows you to free up time for your guests until fondue is ready. The manual contains no information about the temperature for different thermostat positions. 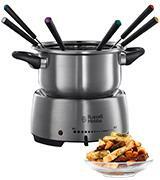 Russell Hobbs electric fondue provides a great number of temperature settings allowing you to experiment with fondue recipes at home and preventing meals from burning. Designed from high-quality cast iron, this fondue pot will maintain hot temperature for quite a while, saving you the need to reheat your meals on a cooker. 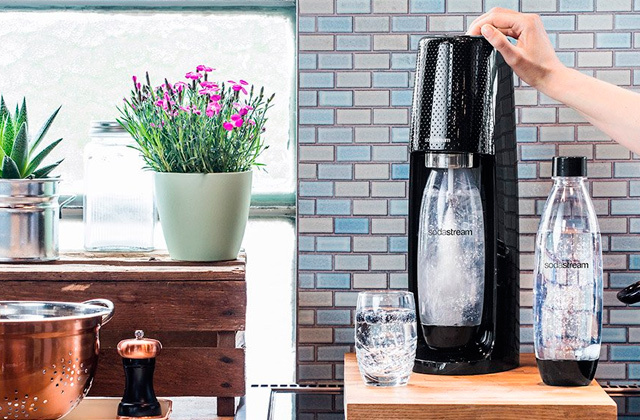 The unit looks gorgeous and can add a sophisticated touch to any kitchen interior. In order to prepare meat fondue, you will need to preliminary heat the pot on a stove. 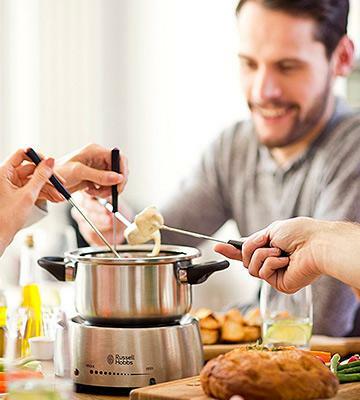 A wide range of adjustable temperatures will let you cook a great variety of meals, starting with classic cheese fondue and ending with meat and seafood dishes. 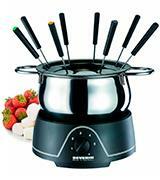 Severin electric fondue set is highly praised for its robust design and long service life. The safety cut-off feature prevents the unit's damage by voltage drops. Includes 8 fondue forks in the package to allow a big group of people to use the same pot during meal. The side handles can heat up during cooking. 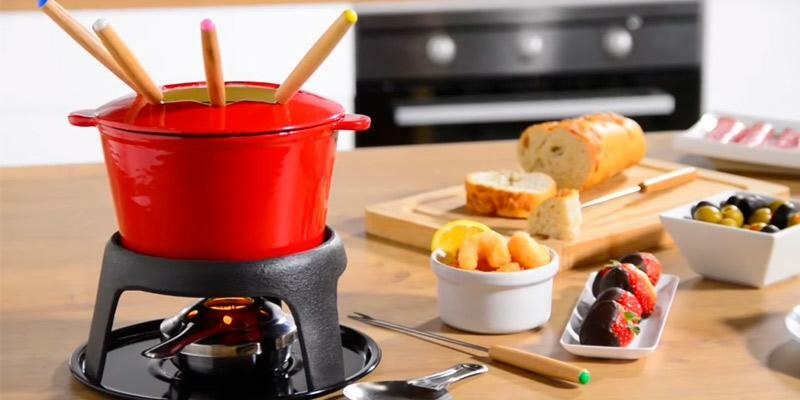 This fondue set will come to liking to those consumers who are concerned not only about the food they eat but also about the durability of appliance. 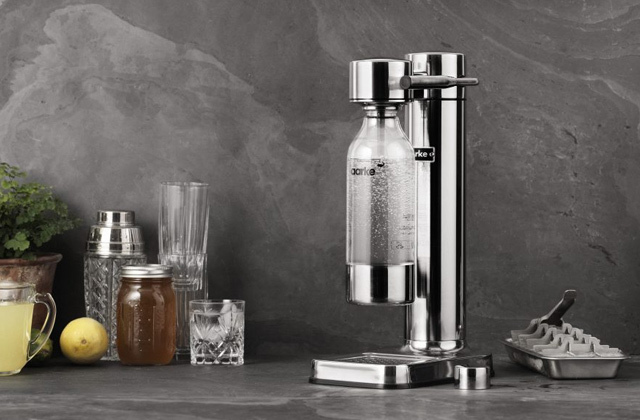 Produced from heavy-duty stainless steel Severin set will easily serve you for years. This space-saving fondue set doesn't take a lot of space on a counter top and it's easy to store. The set is powered by a single tea light that can be bought from any store when it's time to replace it. Suitable for preparing dessert fondues only. KitchenCraft fondue set is a classic appliance that can help you create a special atmosphere with your significant other as often as you'd like. Stun your family with mouth-watering chocolate desserts topped up with your favourite fruit or syrup. Heated by a tealight candle. Generally, a fondue set contains a bowl and long-stemmed forks for dipping your snacks into the melted mixture. Though, the KitchenCraft Master Class Artesa fondue set includes more items. 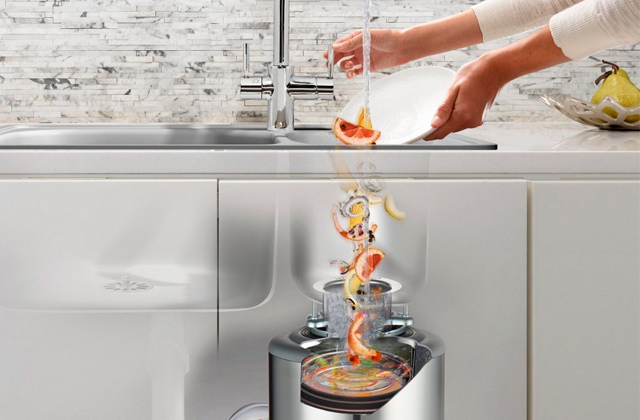 It comes complete with a large, stainless steel fondue bowl, and a metal stand to protect your surface from the heat. The fondue bowl is nested on a 3-tier rotating wooden stand. Also, there are ceramic dipping bowls for all your food items to be dipped. What is more, the rotating stand allows you to spin and share bowls with other fellow diners without leaving your seat. Among other things, the fondue set includes convenient stainless steel dipping spoons and forks. 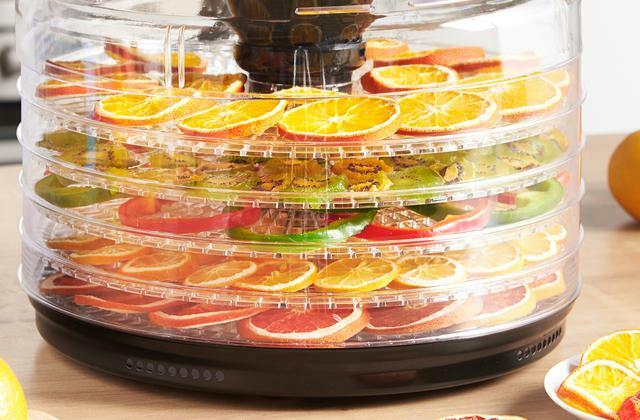 With this awesome kitchen appliance, you can serve up to 6 people. So, it’s perfect for a large family or a group of guests. 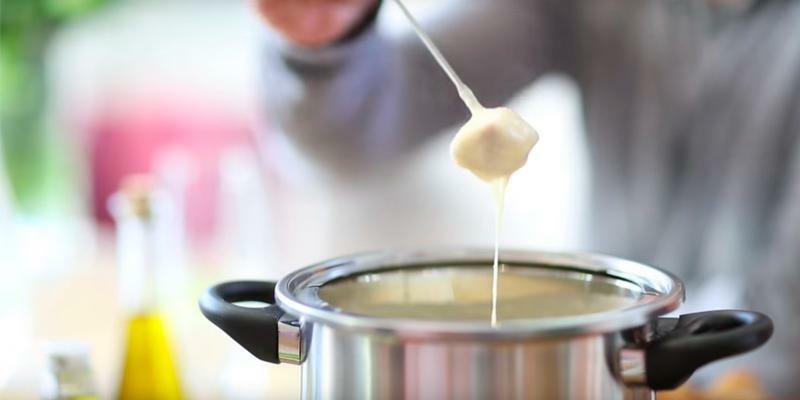 Impress your family and friends with a variety of delicious fondue recipes. Make your party stand out! 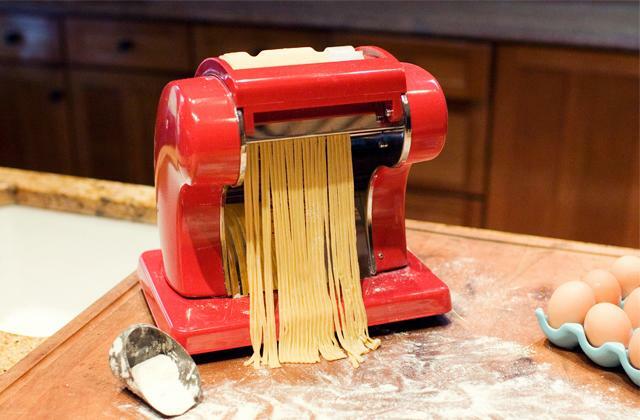 Would you like to speed up your cooking time? Then heat your cheese or meat fondue on a stove first. Choose one of the cooktops to heat up your meal in no time. Today, you can find a large variety of fondue recipes in cookbooks and on cooking websites. 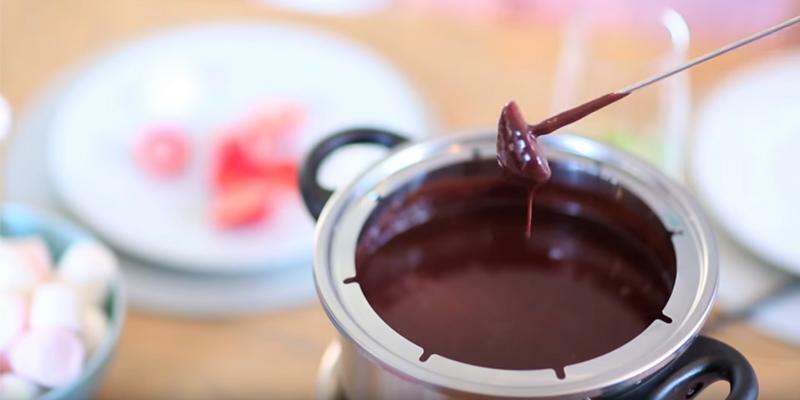 Here are some tips that will help you to become a real expert in the field of fondue. For oil fondues, rub the inside of a fondue pot with some garlic to impart the pungent flavour to your dish. And after you finish your meal, just remove the leftover oil from the fondue pot. 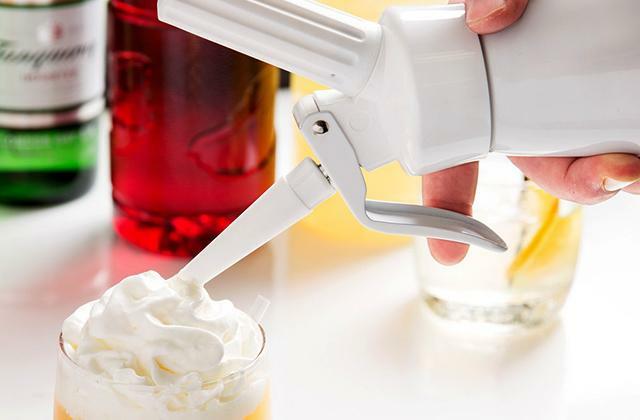 For cheese fondues, add some dry white wine and squeeze juice from lemon to melt cheese faster. If your cheese fondue still looks quite liquid, add a bit of cornstarch or flour to thicken it. And vice versa, if your cheese fondue is thick, then add more wine. Despite being made of stainless steel, the fondue pot requires proper maintenance. Rinse it by hand with warm water to avoid damaging the coating. Dipping forks, spoons and ceramic bowls are dishwasher-safe. The wooden fondue stand is recommended to be wiped clean with a damp cloth to maintain its natural finish. When it comes to buying a fondue set, people are more likely to choose the one that allows making different types of fondue. 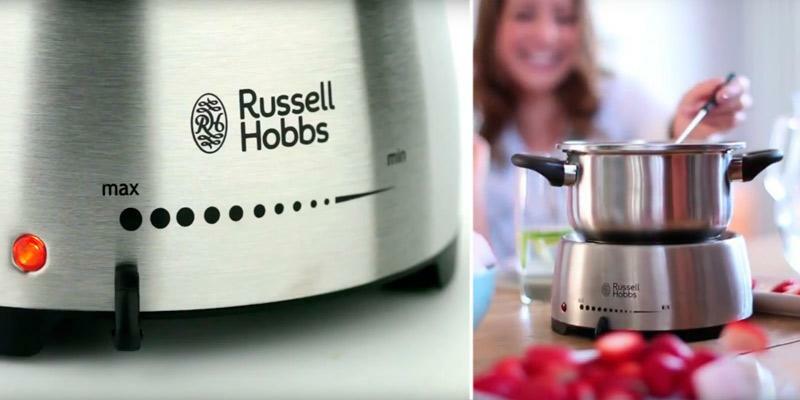 This electric fondue maker, designed by Russell Hobbs, is recognised as the leading British manufacturer of household appliances. The stainless steel bowl makes the set highly versatile. Since stainless steel has remarkable corrosion resistance, the fondue pot can withstand high temperatures required for making meat fondue. Moreover, the fondue set features an adjustable thermostat with 10 settings. You can choose the optimal temperature according to your fondue type and prevent your dish from burning. On top of that, the electric fondue set has a constant power source, so you don’t have to worry about fuel for a fondue burner. You can move the fondue set around as needed, but you are limited to the cord length. If you love cooking, the bread maker can be a great addition to your fondue set. 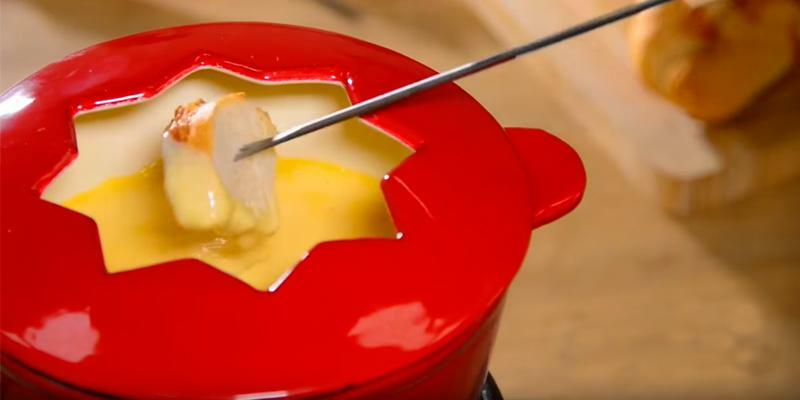 Dip a piece of tasty homemade bread into your cheese fondue. Mmm… yummy! This stainless steel fondue set is not only aesthetically pleasing, but it also provides long-lasting benefits. The stainless steel is resistant to high temperatures and corrosive environments. Therefore, a stainless steel bowl and a stand do not deform after exposure to the high heat. So, your fondue set will retain its original look for years to come. Also, a polished stainless steel surface prevents the growth of bacteria that makes the set safe for contact with food. What is more, cleaning a dishwasher-safe stainless steel bowl is a breeze. This excellent fondue set is designed not only to make a variety of fondue recipes but also to provide you with total control over the cooking process. The set has a temperature ready indicator light on the front panel that lets you know when the power is on. After the cooking process is over, the indicator light comes off. Thus, you don’t have to check the level of your dish readiness that lets you free up more time for your guests. When choosing a fondue set, a number of criteria should be taken into account, particularly, the material of the bowl. The KitchenCraft fondue set has the cast iron bowl, characterised by excellent durability and long service life. Cast iron is perfect at retaining heat, so it's not necessary to frequently heat the pot on a burner to keep the optimal temperature. 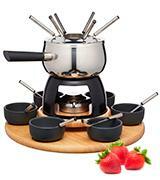 This fondue set is well suited for making oil- or soup-based meat fondues and melting cheese fondues. The dual fuel burner with adjustable snuffer let you easily adjust the right temperature. Fill it with special gel fuel or methylated spirits and light. Thanks to the constant source of power, you can easily move the appliance around your home or use it for your backyard cookouts to enjoy your meal whenever you wish. And the Pressure Cookers will come in handy in making a variety of healthy dishes every day. The pot has a special splatter guard with indents to keep your fork in place, so you don’t need to constantly hold the fork in your hand after dipping snacks into the hot melted fondue. 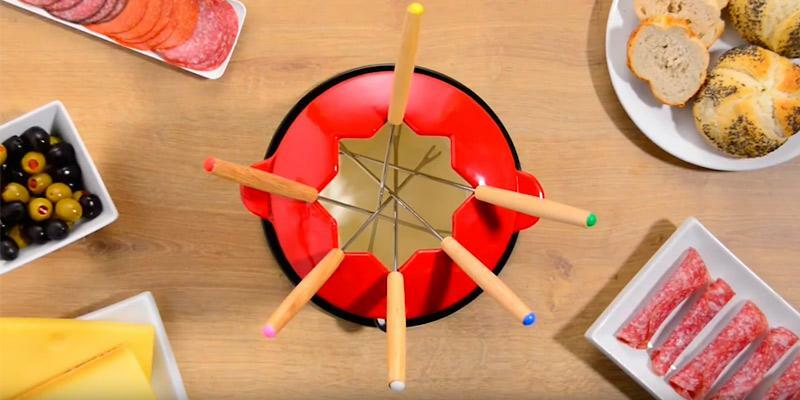 There are colour-coded fondue forks, each with a fork rest ring, that allows all diners to avoid any mix-ups. The anti-splatter guard is not only designed to hold your forks, but also prevent hot liquid escaping from the pot. Also, it protects you from burns that can be caused by contact with hot soup or oil. The guard is made of enamelled cast iron that makes this set a perfect centrepiece for your dinner party. A fondue bowl and a splatter guard are recommended to be washed by hand under the hot water to avoid damaging the enamelled coating in a dishwasher. You can find a variety of fondue recipes and add a plenty of ingredients. However, a Chinese fondue is a little different from the traditional recipe. The chicken meat, seafood, and vegetables are cooked in the broth. And at the end of the meal, people drink the broth saturated with all the ingredients. Beef, mushrooms, chicken fillet, rice noodles, and bok choy can be used as dipping snacks. If you have ever used a fondue set, you know that it consists of a heat-resistant fondue pot and a burner to heat the pot. However, technologies are developing at a faster rate. In this regard, most people prefer electric powered pots. 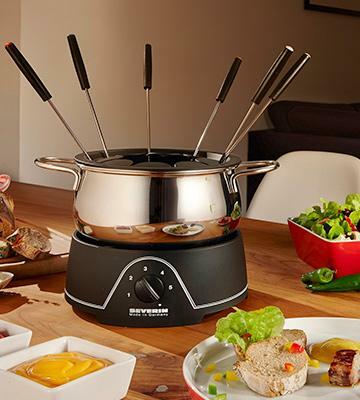 The FO2400 electric fondue set by Severin is designed with your safety in mind. First, with an electric power source, you don’t have to worry about your burner running out of fuel when you least expect it. Secondly, the models, powered from the mains, have an adjustable thermostat that allows maintaining a constant temperature to keep your dish hot after it’s ready. It goes without saying that the electric power source is safer than open-flame gas. 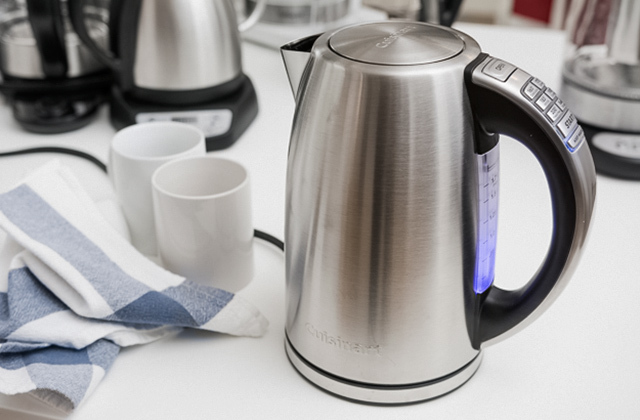 The electric heat is generated by the heating element built into the base of the pot. Besides, the set comes with a stand to provide the bowl with increased stability. Also, the set has a splash guard with fork supports that protects from unwanted liquid splattering. Keep your house up-to-date with the latest technological home appliances. Now you can make a perfect restaurant quality pizza in the privacy of your home, buying one of the Pizza Makers from our review. A fondue set is primarily intended for making your dinner time with family and friends enjoyable, thus it’s important to gather everybody around your dinner table. Designed with your family values in mind, the set comes with 8 stainless steel fondue forks, that allows every diner to dip different snacks into the same pot. The forks are colour-coded, so your dinner guests can pick their favourite colour to avoid mix-ups. Moreover, the stainless-steel forks with plastic heat-resistant handles do not get hot, protecting you from burns. Besides, the set has a splash guard with 8 indents to hold the forks in place and keep them from dropping into the pot. The stainless steel pot allows retaining the natural taste and flavour of your food. The heat distributed evenly through the pot helps preserve maximum vitamins and nutrients. 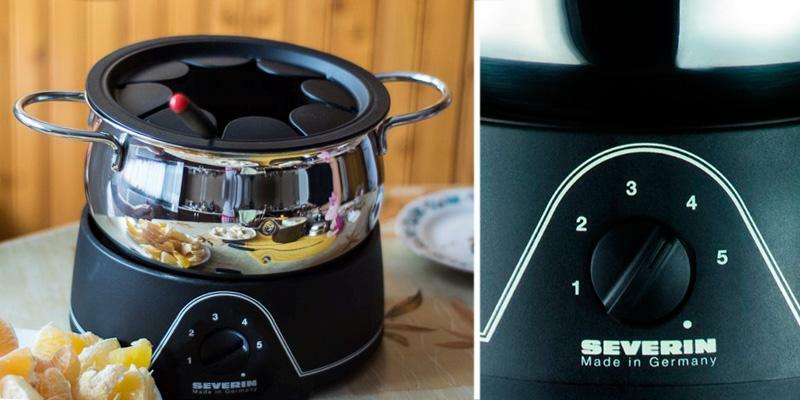 What is more, this speeds up your cooking time, so you can do whatever you want until your fondue is ready. Organising a memorable, romantic meal for your sweetheart is not that easy. You can find a lot of ideas for your romantic date night dinner. But what could be better than the sweet indulgence of various fruit and marshmallows dipped into the melted chocolate in the comfort of your home? 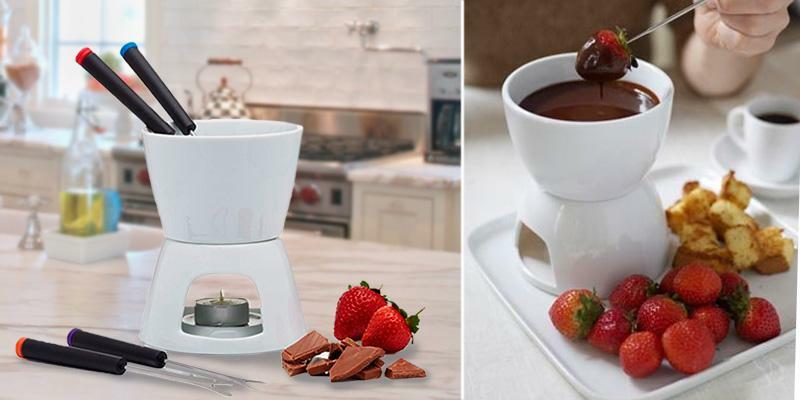 The KitchenCraft chocolate fondue set is designed for real romantics who would like to treat their partners with delicious desserts, creating an impressive party centrepiece. With this nice fondue set, you can make a chocolate fondue with crushed nuts, minced dried fruit, and even a mint chocolate fondue without burning to the edge of the bowl. 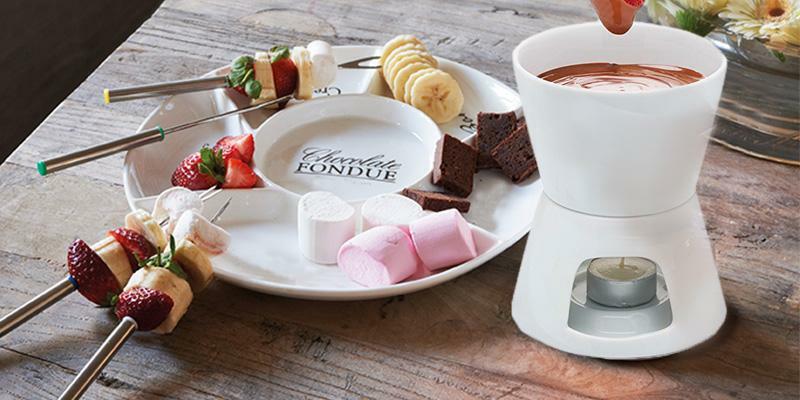 The 400 ml fondue pot is enough to enjoy your favourite delicacy. 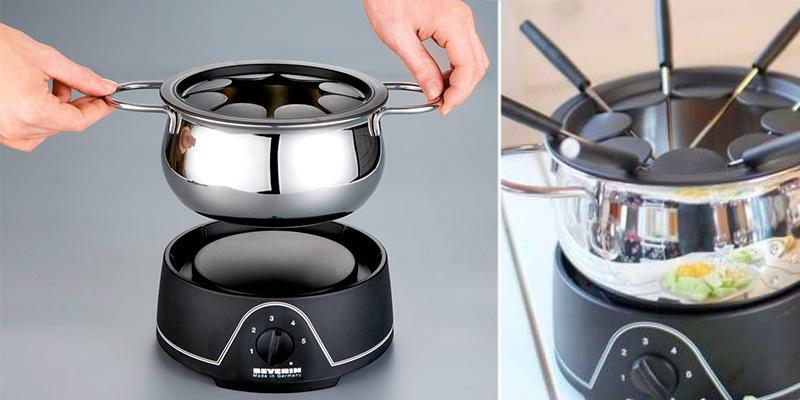 With its compact size, this fondue set is easy to store. 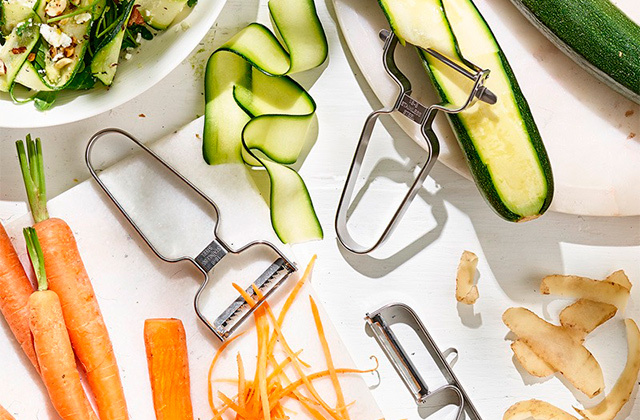 And this space-saving kitchen tool will not take up a lot of counter space. Also, the set is really easy to use. It's powered by a single tealight that you can buy anywhere! Moreover, the dishwasher safe bowl comes apart in 2 pieces for easy dismantling and cleaning. 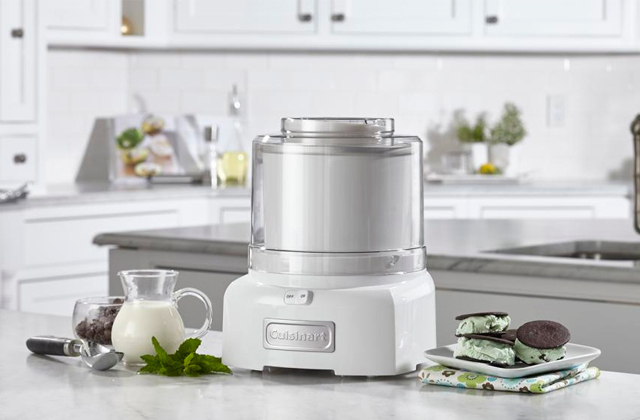 If you prefer cold desserts to hot ones, then you should take a closer look at the Ice Cream Maker to make your own tasty ice cream. Traditionally, ceramics are made from natural materials that are safe for human health. Moreover, this unique material doesn’t enter into chemical reaction with food and withstands high temperatures inside the pot. The nonstick coating prevents heated foods from sticking to the sides of the pot without causing buildup. Meanwhile, proper cleaning of fondue set is essential. 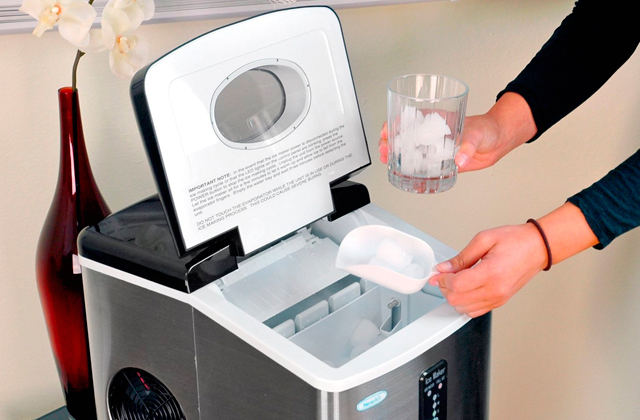 Despite it is a dishwasher-safe appliance, a mild detergent is generally preferred. Acidic detergents shouldn’t be used, as they contain bleaching agents, which can destroy the coating. Be sure the fondue pot is completely dry, wiping it with a soft dust cloth or place it on a drying rack. And never use an electric appliance while it’s wet, since it may crack when heating. Sure enough, you should be careful to avoid dropping the appliance. 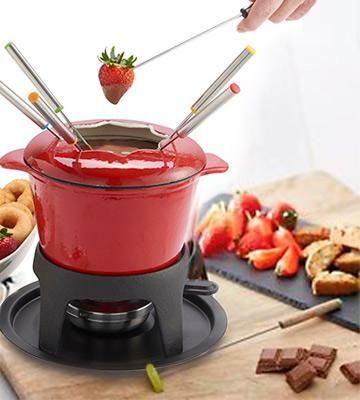 Despite this fondue set is designed for making fondue, yet it can be used for other desserts. Try to prepare different types of dipping sauces, decorations for cakes, and creamy chocolate ganache. You can also make candies from melted chocolate in the Kitchen Craft Silicone Moulds. Most people like hosting guests. But if you do not have time for cooking and guests are already around the corner think of a fondue set. It will surely strike and delight all your friends and family members, while you will undoubtedly enjoy quick preparation and kitchen time. Fondue is a traditional Swiss dish served in a heatproof pot (caquelon) and made from a blend of cheese with wine, nutmeg, and garlic. Modern fondue recipes offer a variety of meat fondues for entrees and sweet chocolate fondues for dessert. Basically, fondue set consists of a melting bowl and a set of forks or skewers for dipping ingredients into fondue. Additionally, it may include fork racks and pans for ingredients. If you like snacks or fast food, check also one of the sandwich makers allowing you to realise your culinary ideas. 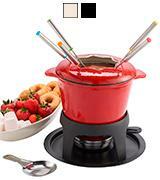 If you are a fan of chocolate or cheese fondue, we encourage you to consider fondue sets with ceramic bowls. They maintain a moderate temperature preventing cheese and chocolate overheating and sticking to the bowl. Hence, cleaning will be a breeze. For meat or fish fondues, you'd better choose metal bowls that will easily handle high temperatures to heat the oil or broth. Meanwhile, stainless steel bowls are the best option for those who plan to make different types of fondue. 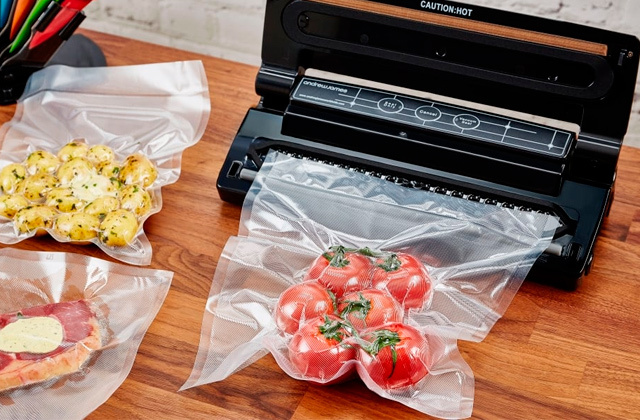 They are multipurpose and a non-stick interior will become an additional benefit. Besides, it is worth mentioning that some models for chocolate fondue come with plastic or aluminium pots. Usually, they boast a lightweight compact design and are just great for outdoor events and parties. Fondue bowl or pot capacity will determine the number of people you'll be able to treat with tasty hors d'oeuvres and desserts. 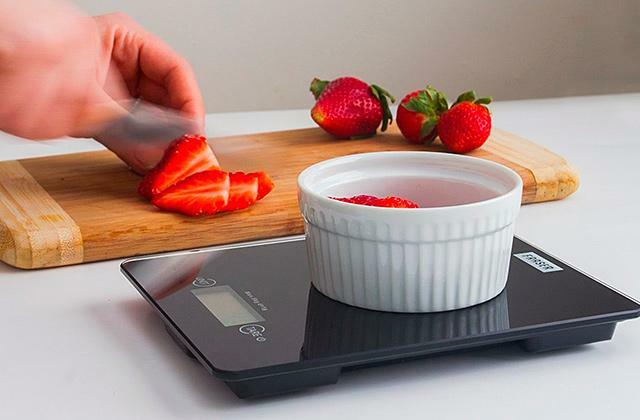 A capacity of 0.3-0.5 Qt is enough for a romantic evening of two while selecting a fondue set to make a dinner for a common family of 4 persons you should regard models with a 1.5-Qt bowl. And high-capacity units with 3-3.5-Qt bowls are just perfect for family gatherings or parties with friends where you can invite up to 8 persons. 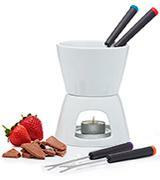 Modern fondue sets also vary by the heat source that will first melt and then heat your incredible fondue. Today manufacturers offer either electricity or open flame as the heat source. The use of electricity will limit unit's portability to a certain extent but on the other hand, it is safer. Open flame fondue makers offer a number of alternatives and may be maintained by means of a candle or different fuels such as alcohol, gel fuel, butane and other types of liquid fuel. Fuel- and candle-based pots are handy and highly portable. But it is better to use them outdoors to avoid the risk of fire. The usability and operational convenience of a unit are determined by additional features it comes with. Thus, adjustable thermostats with preset temperature modes or manual temperature control are essential for the right heating temperature to tailor your fondue to perfection. With users' comfort in mind, most manufacturers provided their fondue sets with forks or skewers for picking different ingredients. Additionally, modern fondue sets are often packed with fork racks, special plates or trays as well as various moulds for chocolates, candies and cake decorations. 1. How To Choose a Fondue Pot, ifood.tv. 2. 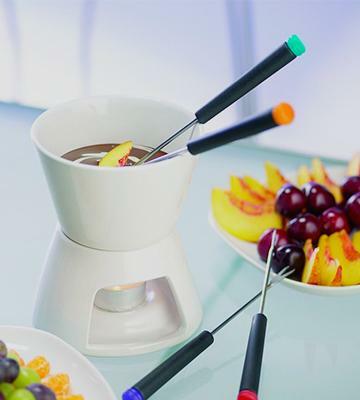 Fond of Fondue: How to Choose the Right Set, YellowPages. 3. Christopher Fisher Choosing the Right Fondue Sets, StreetDirectory. 5. How to Make Fondue, wikiHow. 6. The History of Fondue, Now I know. May 20, 2015. 7. SE Gall The History of Chocolate Fondue, eHow. 8. Donna Pilato Before You Buy a Fondue Set, About Home.